Though BMW may not be the first motorcycle manufacturer that comes to mind when you think of cruisers, that’s precisely what the German marque has unveiled – in concept form at least – at the Concorso d’Eleganza Villa d’Este this year. 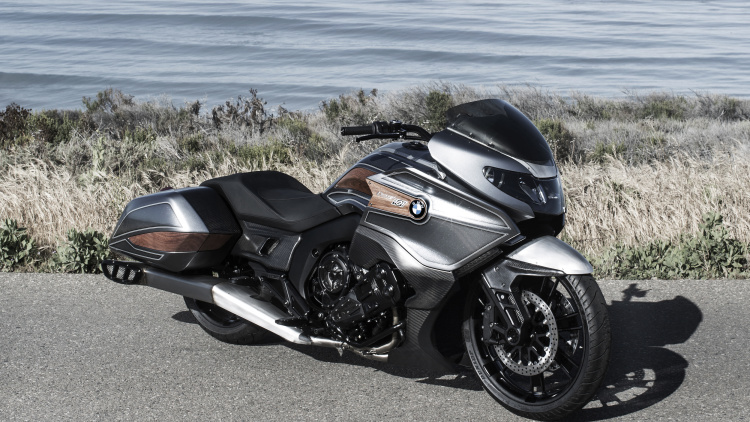 Appearing alongside the 3.0 CSL Hommage concept, the BMW Concept 101 is a custom “bagger” created in California through a collaboration between BMW Motorrad, BMW Designworks, and legendary bike builder Roland Sands. Better suited towards cruising down the highway than carving up a racetrack or a dirt trail, the Concept 101 strikes a rather stunning (if uncharacteristic) form. Of course this isn’t the first time BMW has done a bike with Roland Sands, nor the first time it’s displaying a bike concept at Villa d’Este. Last year the German marque displayed the Concept Roadster at the same show, and did the Concept Ninety with the same custom shop at the previous year’s concours.